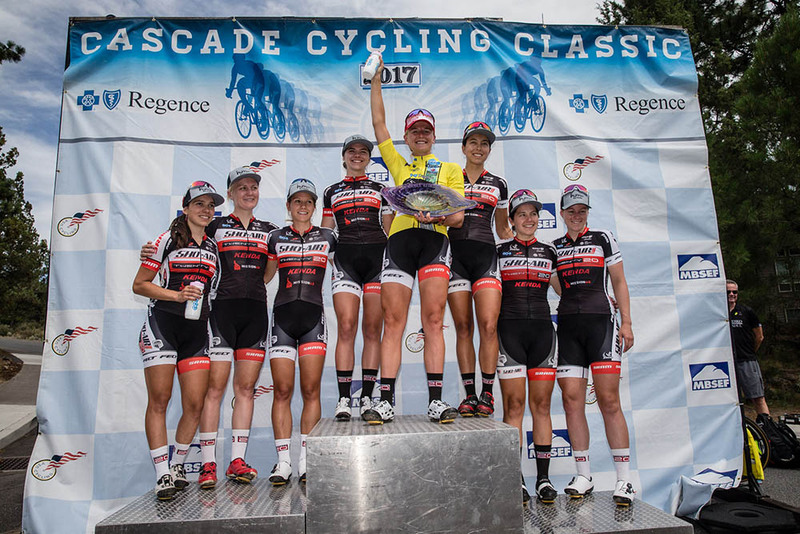 Sho-Air Twenty20’s Allie Dragoo claimed the overall victory in the 38th edition of the Cascade Cycling Classic after five days of tough racing in central Oregon. The 27-year-old finished third on the final day to win the title by just six seconds ahead of stage 5 winner Sara Poidevin (Rally Cycling). 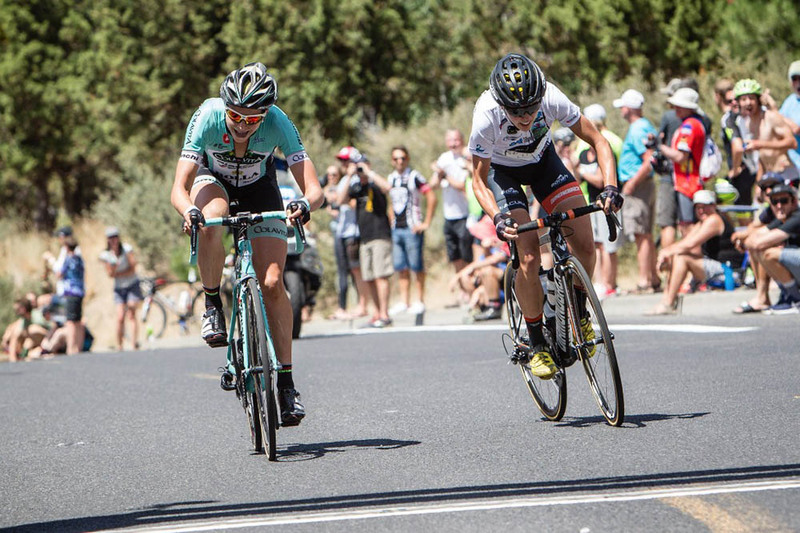 Emma Grant (Team Colavita Bianchi) finished a close second at the end of a hot and challenging 50-mile (80km) stage. 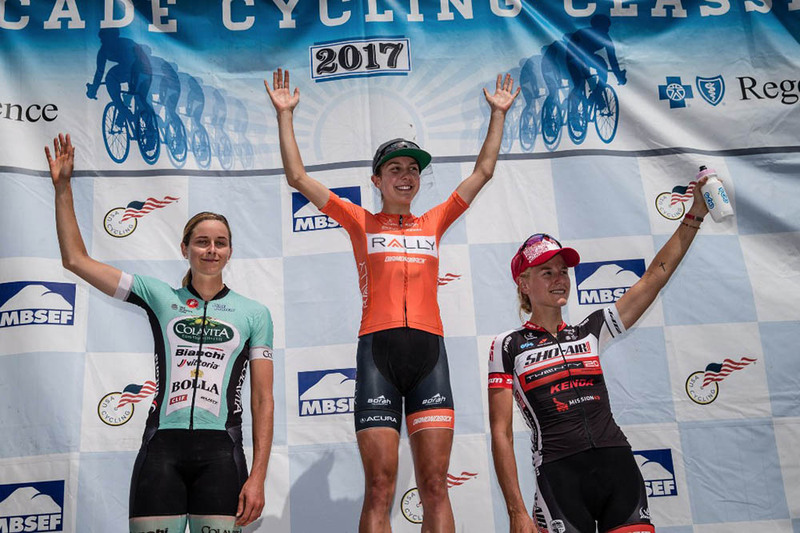 The final stage of the 2017 Cascade Classic was a decisive one for all the jerseys, save the best young rider, in which Poidevin established an early lead. The tension was palpable at the start of the stage that featured three laps of a 16-mile (25.7km) circuit and a steep finishing climb. The Rally Cycling team came out with all guns blazing, making it a tough day for the young Twenty20 squad to neutralize attack after attack. The first serious break to make it up the road contained Abby Mickey (Colavita Bianchi), Steph Roorda (Sho-Air Twenty20) and Heidi Franz (Rally Cycling). The trio gained a max of around a minute before the second lap pace blew the field apart and former yellow jersey leader Kristi Lay (Rally) bridged Poidevin across to the break. Dragoo and her Sho-Air Twenty20 team sensed the danger move and moved to the front to neutralize the threat, with Dragoo doing much of the work herself to bring the five riders back. By the top of the second QOM, Dragoo had the leaders in her sights but wasn’t getting much help from the decimated field. With 20km to go, Sho-Air Twenty20 caught the break and the field reset, laying out more attacks before the final 10km saw Claire Rose (Visit Dallas-DNA), Jess Cerra (Hagens Bergman Supermint), Whitney Allison (Team Colavita), Jasmin Duehring (Sho-Air Twenty20) and Sara Bergen (Rally) a 15 second gap. The GC favorites came all together at the base of the final climb, and from there it was a battle of attrition won by Poidevin, centimeters ahead of Grant. Dragoo came across the line in third, securing her overall win. Poidevin added to her successful week at Cascade with a win in the Queen of the Mountains competition. Bergen was the final recipient of the green jersey. 2 Emma Grant (Colavita/Bianchi) at s.t. 9 Margot Clyne (JLVelo Cycling p/b The Freewheel) both s.t. 12 Véronique Bilodeau (SAS - MACOGEP) both s.t. 17 Amber Pierce (Colavita/Bianchi) s.t. 24 Starla Teddergreen (Hagens Berman / Supermint) s.t. 28 Emma Lujan (Trek Red Truck Racing) all s.t. 37 Kathryn Buss (Team Tibco-Silicon Valley Bank) all s.t. 41 Alison Tetrick (Cylance Pro Cycling) both s.t. 43 Breanne Nalder (Visit Dallas DNA Pro Cycling) s.t. 45 Bryony Botha (New Zealand Cycling Team) s.t. 49 Annie Foreman-Mackey (Sho-Air Twenty20) both s.t. 55 Kathryn Donovan (Visit Dallas DNA Pro Cycling) s.t. 8 Emma Grant (Colavita/Bianchi) s.t. 47 Mandy Heintz (Visit Dallas DNA Pro Cycling) s.t.